I wish I had a huge assortment of tools and a huge gorgeous garage workshop. The truth is, I am using the most basic versions of just a few tools and I mostly work on my garage floor…BUT, I’ve still been able to get by building built-ins, wall moldings, shelves, furniture etc. with just 5 power tools. So here’s a quick list of the ONLY 5 TOOLS YOU REALLY NEED to get going on almost any home improvement or DIY project. 1.Power Drill/Driver (MOST USED): This is a must have tool in every home, whether you do DIY projects or not! I use mine for hanging pictures, building projects, and every project that I do. *Don’t forget the battery/charger if you don’t already have one. It’s also helpful to have a set with different screw heads and drill bits like this one. 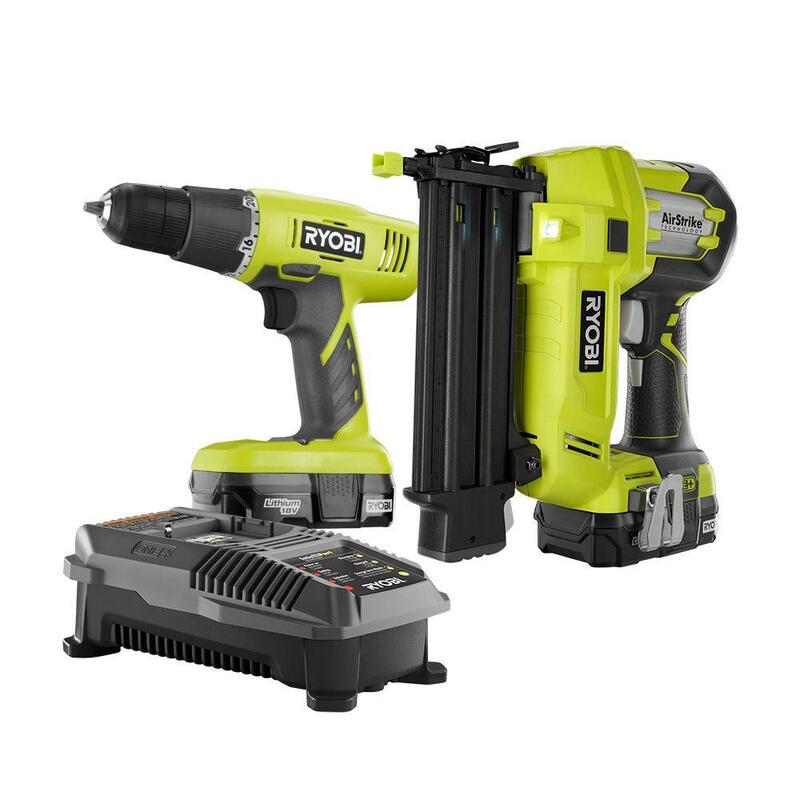 **Also, I like this set from Home Depot because it also comes with a nail gun and battery. 2. Nail Gun: This tool is so easy for nailing on trim and building projects. This one is even battery powered so you don’t have to deal with the cord or a loud air compressor. This nail gun has been a DIY game changer since it’s so easy to transport around! **Or you can get the drill/ nail gun/ battery set from Home Depot here. 3. Miter Saw: A miter saw is helpful for cutting molding, building projects, and cutting wood. I did just upgrade to this amazing sliding (so I can cut up to 12 in boards) compound (blade can be adjusted at different angles) miter saw. Here is the compound miter saw I just got and it’s seriously life changing. 4. Electric Sander: This sander makes smoothing out wood, sanding off wood putty, and all finishing aspects so much quicker. 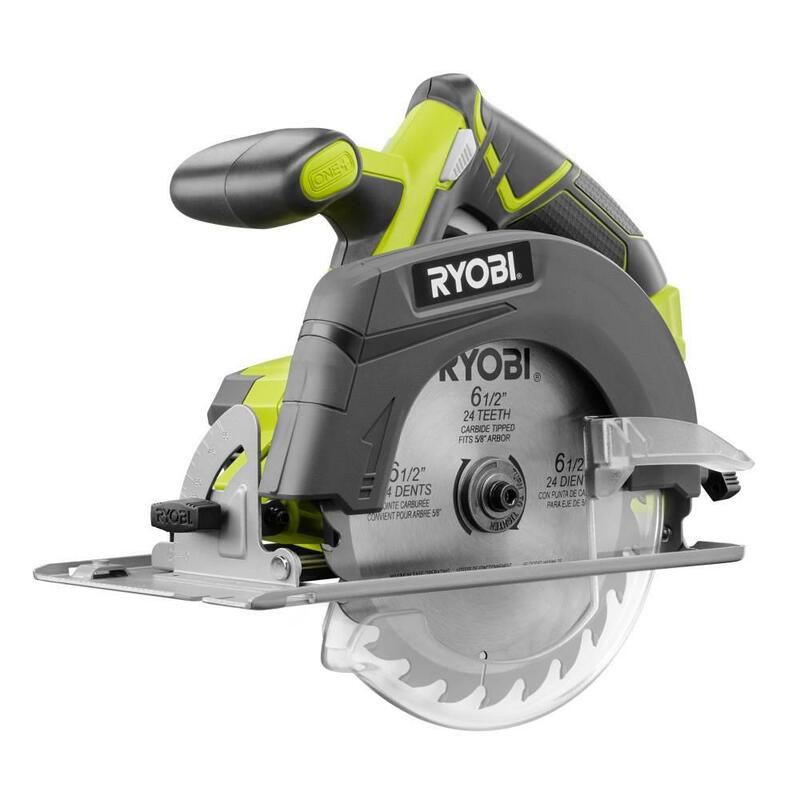 If you want to stick with your Ryobi set, here is a sander. 5. 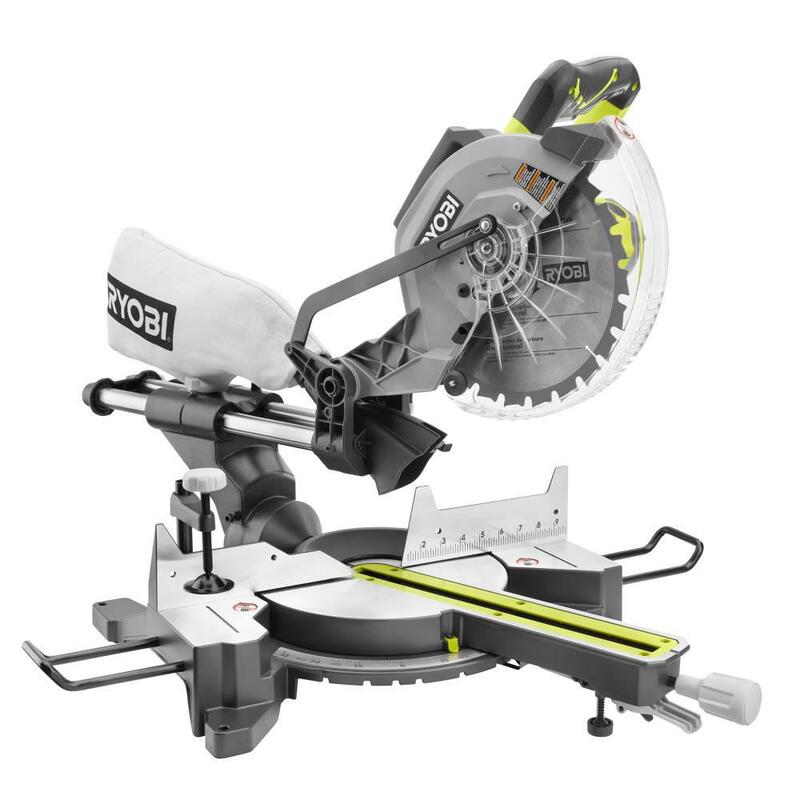 Circular Saw: I only JUST got one of these, so you could last a while without this tool. But it’s been helpful for making long cuts, and cutting off excess boards on my barn door DIY projects. OPTIONAL: Kreg Jig(Optional but LIFE CHANGING): This tool is so cool because it allows you to attach boards with hidden holes so the finished project looks nicer (and it makes joints stronger). This is a must if you ever get into building built ins or basic furniture. This is the exact set I’ve had for 8 years and loved. Stencil Over That Boring Tile!